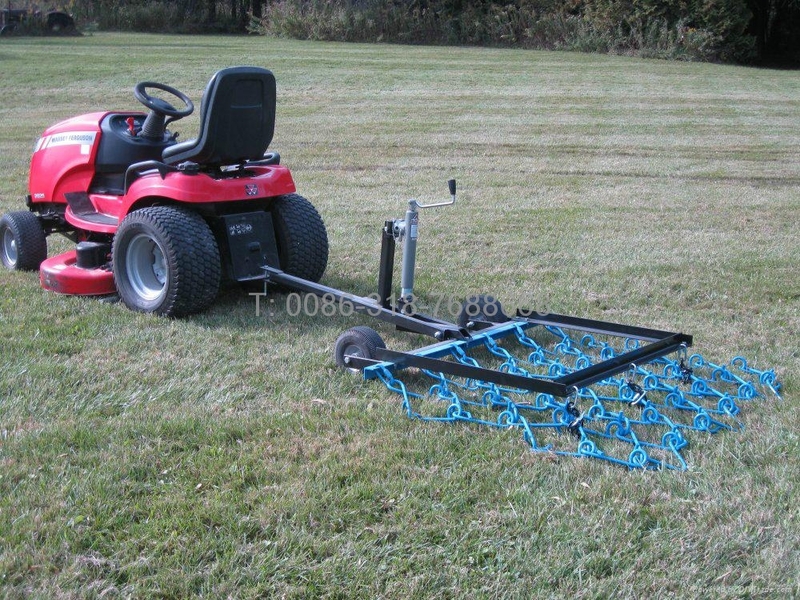 A drag harrow, spring-tooth harrow, is a largely outdated type of soil cultivation implement that is used to smooth the ground as well as loosen it after it has been plowed and packed. It uses many flexible iron teeth usually arranged into three rows. It has no hydraulic functionality and has to be raised/adjusted with one or multiple manual levers. 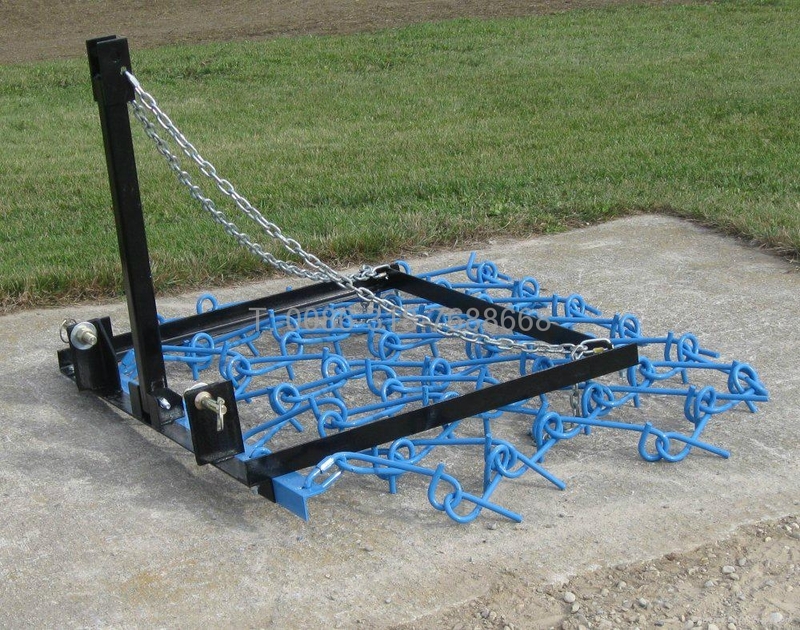 It is a largely outdated piece of farm equipment, having been replaced by more modern disc harrows and deeper, stiff-toothed rippers. Heavy residue is quickly surfaced without clogging or bunching even in the most extreme no-till or ridge-till applications. Studies prove that mechanically stimulating forage land is the most cost-effective method to drastically improve the hardiness and productivity of the hay or pasture, for several reasons. First of all, scratching the surface covers open seed, thereby assisting germination and the establishment of new plants. Stimulating and spreading the dead thatch helps it to decompose more quickly and evenly to provide important nutrients to the entire area. Solid or liquid manure makes the surrounding grass unpalatable for livestock. Treatment with a tine harrow maximizes the fertilizer benefits of droppings by encouraging decomposition, spreading nutrients, incorporating moisture, uncovering growth and aerating soil. In addition, rodent mounds are effectively leveled.